Equipment used in filling operations are built with components that must meet specific, demanding requirements. For reliable performance, flexibility, availability and endurance, filling equipment OEM’s require valves which can deliver a high cycle life with minimal space requirements. 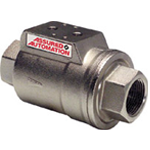 To meet these stringent requirements, leading manufacturers rely on Assured Automation’s compact automated valves, angle body valves and stainless steel ball valves and resilient seated butterfly valves. Assured Automation has specialized in supplying valves with improved stem seal designs to ensure a long life in high cycle applications. 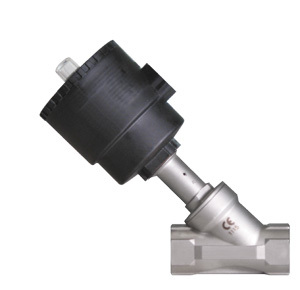 While other manufacturers sell a single valve design for every application, Assured Automation offers a variety of valve options to match the specific filling application. The direct mount actuation design on these valves reduces the space requirement required for automated filling systems. Assured Automation is known for high quality standards, prompt delivery and consistent availability of product. Assured Automation’s Ares Angle body valve, VAX coaxial valve, 36 Series full port stainless steel ball valve and the VA compact automated valve are preferred for smaller lines sizes offering high cycle-life, durability and reliability and compact assembly. The ST Series resilient seated butterfly valves are preferred for line sizes 3” and larger. All valve designs will meet the high cycle demands of industrial filling equipment.